One of the most widely grown, flowering shrubs on the island of Crete is the superb Hibiscus rosa-sinensis. Ubiquitous it may be, but as flowering shrubs go it is truly a vision of perfection. Its leaves are the darkest green, and while the single, deep crimson flowers are relatively short-lived, they can be up to an impressive 5 inches wide and produced in huge numbers from June to September. Meaning literally 'Rose of China', this 6 ft tall evergreen can be purchased in double and semi-double forms. There are also cultivars with yellow, pink or salmon-pink flowers. The variety 'cooperi' has smaller flowers, with narrower leaves that are variegated with cream or crimson. Of all the cultivars available 'cooperi' and has gained the Royal Horticultural Society's Award of Garden Merit, but for my money, none of them can compete with the purity of the native species. 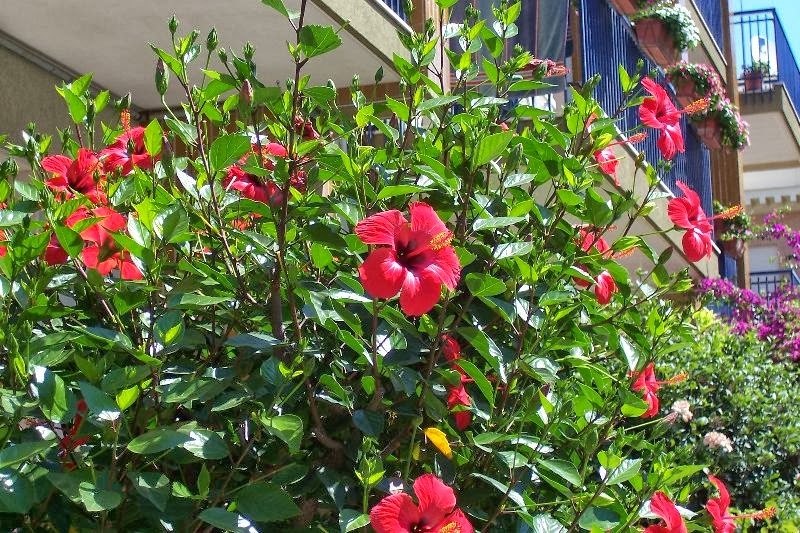 Of course, it is not just Crete where they are a popular choice, you will find Hibiscus rosa-sinensis throughout the warmer regions of the Mediterranean. 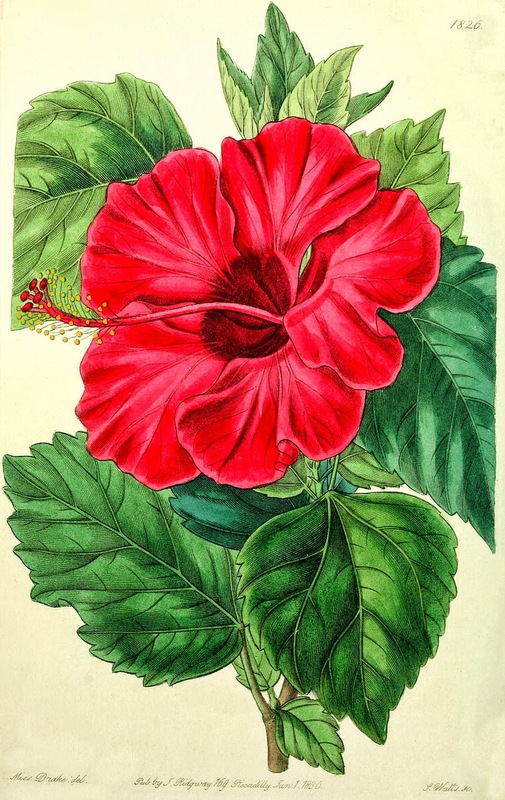 However, as the name suggests, Hibiscus rosa-sinensis is a native to East Asia. It is widely grown as an ornamental plant throughout the tropics and subtropics, but unfortunately for those of us living in northern Europe it will not tolerate temperatures below 10 °C (50 °F). of course, container grow specimens can be kept outside during the summer months and then moved to a protected environment over the winter. Alternative, if you want a hardy red hibiscus that will cope with our cold wet winters you can consider growing the far tougher Hibiscus syriacus. Hibiscus rosa-sinensis will grow in any ordinary well-drained garden. Plant them in a sheltered position, in a warm that will receive as much sun as possible. 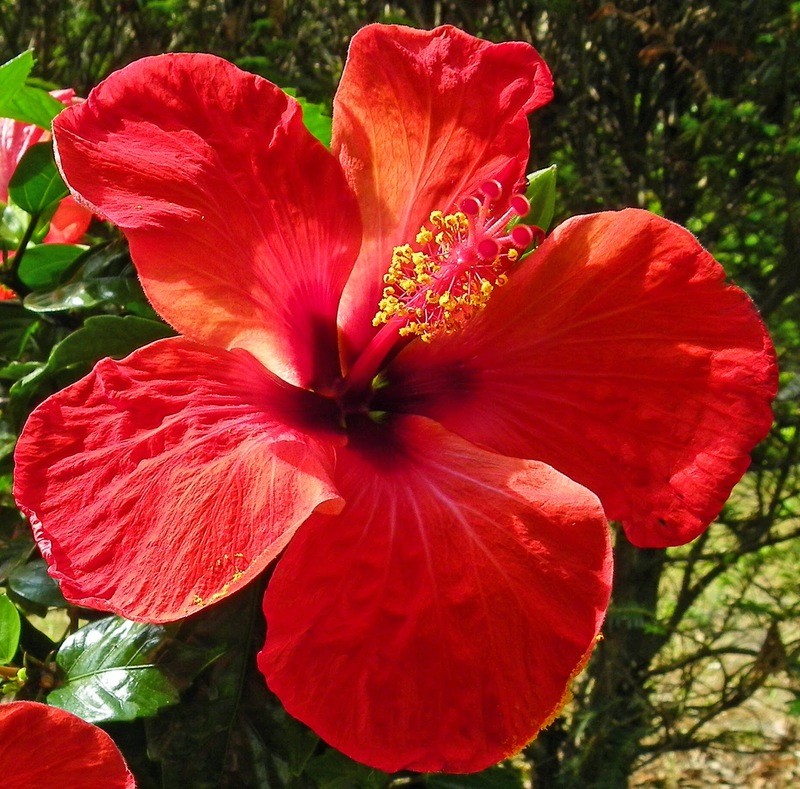 If you choose to grow it as a container specimen then grow your hibiscus into a good quality compost such as John Innes 'No 2' or 'No 3'. When over-wintering, try to maintain a minimum temperature of 7-10 degrees Celsius, and the soil moist, but don't be surprised if you begin to experience leaf-drop. However the foliage will remain and maintain a far better colour and quality when temperatures can be kept above 16 degrees Celsius. 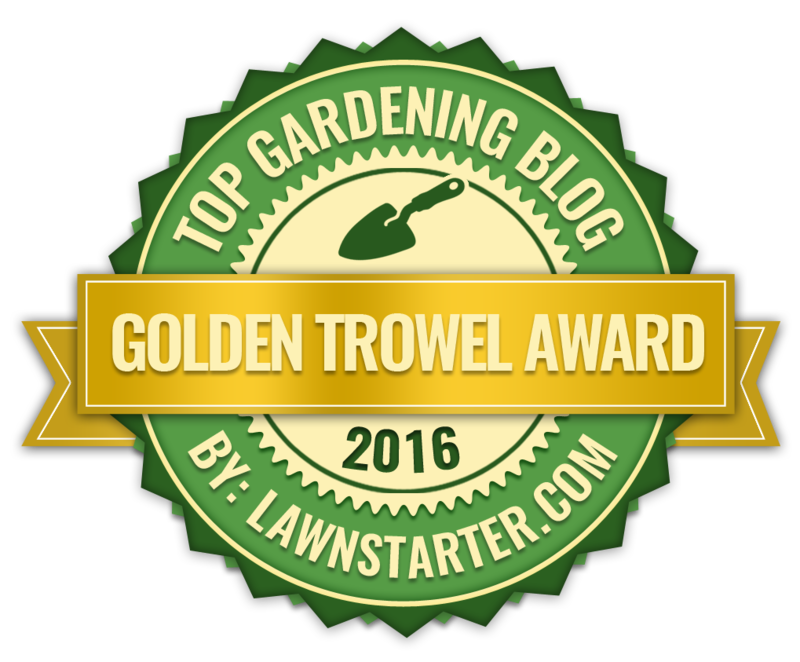 Keep the compost on the moist side in these warmer temperature and you can expect your plant to continue to flower. If temperatures exceed 21 degrees Celsius make sure that there is plenty of ventilation.